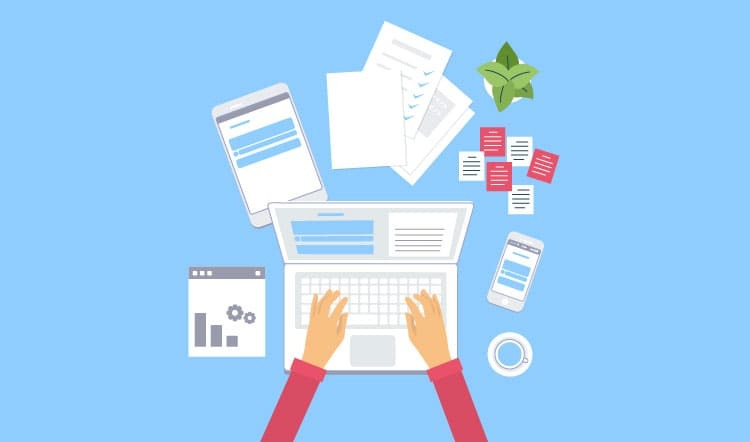 Content marketing is a strategic marketing technique that arranges business and consumer information needs with specific and relevant content. It helps to engage a particular group of target audience. Marketers use a variety of things such as Social media to E-books and white papers and blogging. These techniques are used to persuade their customers. Content Marketing is used by both small and large companies. The main purpose is to develop a strong and long-term relationship with the audience and providing them with the information that they need. Your content is their guide to your business. Content is the best way to answer your audience whenever and whatever information they are searching for. Creating a high-quality content is all you need. It provides resources to your audience. Content can be featured in social media or newsletter or even in the form of infographics. There isn’t just one technique but a mixture of tactics. How does content marketing matters to the customers? Nowadays, things have changed in various aspects. Most of us research about the products online before buying it. We can compare prices of the vehicles and watch out for their features. Even the grocery people use mobile phones for comparing prices and deals today. People want good content so that they can make a good decision. Consumers rely on articles to learn about companies rather than the traditional advertising. How content matters to the search engines? For any solution to their problem, people nowadays rely on Search Engines to find out. It’s simple. Have a problem? You can Google it now. Sometimes your best opportunity comes when people search for it on Google. If you have relevant solutions to their problems, you should be ready to gain new customers. Search Engines regularly update the algorithms that they use to crawl through the web for improving the quality. Now, what actually is quality for Google? Google wants an Up-to-date content. So if you keep updating your content, it will help you to build strong relations and gain new customers. Effective and frequently updated content can help you build customer-relationship. It helps to gain trust by highlighting the most important topics. A good content can bring traffic to your website and social media pages. If the readers like it, they will share your content with their relatives and friends. There is always a strategy behind quality. Same is the case with Content Marketing. Here are a few steps that will help you to frame your content. Planning-Find out what achievements your organization wants to make and what kind of content should you develop to meet the needs. What impact will it have on other things such as advertising or promotion? Implementation-Content is the king and distribution is the queen. This step covers the distribution part. How are you going to distribute the content? Are you going to publish it on your website or on the social media pages? You can even opt for blogs and articles. Regularity and consistency is the best way of getting familiar with your audience. Target audience-What kind of audience are you targeting? Are you targeting different segments and who will be benefitted with what you say? What are their interests and concerns? Content Development-The key to a great content is clarity. It should represent the value of your organization. It must be optimized for your audience and search engines. Results-Find out what impact content has on your website and Search engine results. Is your content interactive? Analyze the number of likes and dislikes and the negatives and positives. Is there any complaint regarding the content? If yes, Deal with it. Content promotion is the method of distributing blog posts and other creative vita organic and paid channels, which include influencer outreach, social media, Pay-per-click advertising, PR, syndication and E-mail marketing. No matter how good content you write but if you do not know how to promote it using different channels, you might miss out a reach to a lot of audiences.